Blogging is not like ancient it was, like celebrities used to connect with their fans, but now a days it has been changed to make money from blogging, although almost every one started blogging only having one dream to make money online from blogging. In 2013, I have written an article, which article having my own proven methods to make money online, the interesting thing is that, that article has been read by more than 10k people. That's why I will add more meat to that article, that's why in 2014, at least 50k people will get help from those methods as well as can manage to make at least some pocket money. The reason is simple to better live, money is needed and internet is the most easiest way to do it, specially those mommy's. About your family, so I am writing this blog post, that's why you don't need to struggle any more. 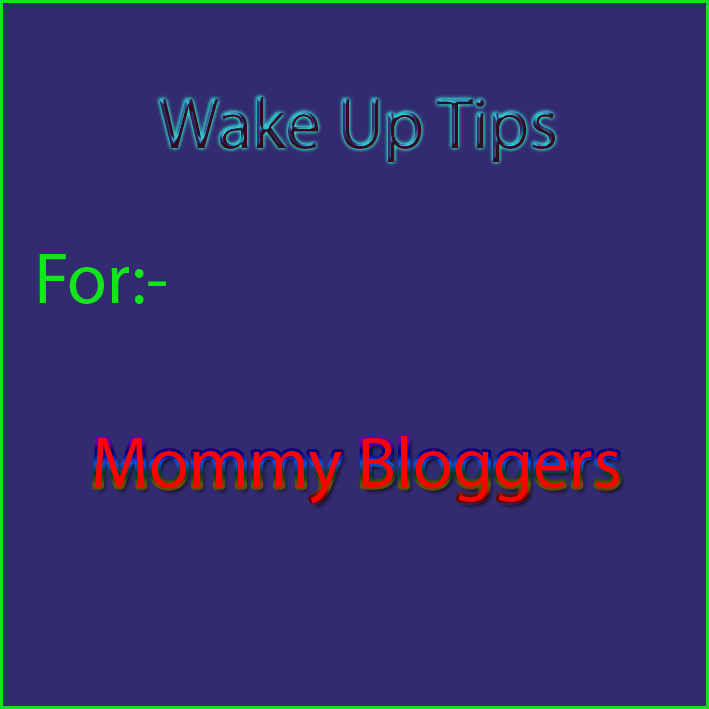 Actually I'm going to tell you few mistakes mommy beginner bloggers made, when they have started blogging, that's why they did not succeed in blogging. So, I here are those tips for you to make your blog better and finally you will full fill your dreams from blogging. SEO stands for Search Engine Optimization, may be you know this, even there is nothing to do with it. But what I am going to share with you, those are important to get more and more traffic to your blog from Search Engines, because this is the best source to targeted traffic to your blog. And of course free of cost. But for this you need to take care little about your Blog URL, Blog Title, Blog Post Title, keywords density, Total Words in Your Article, Headings and Subheadings in the Articles, Spelling Mistakes Etc. If I will start sharing with you it will not end, probably it will have more than 1 Million words, but those are not that much important for you. Knowing basics SEO tips, actually I have already written an article on this, you must read this blog, which have all basics SEO tips. I am pretty sure you are going to get lot of information about SEO from the blog post, well let me tell an evergreen blogging tips. Concentrate on Content of Your Blog post, because after all "Content in King". If you have already choose a topic for your blog, I hope you know about the topic you are going to blog, that's why you have choose but if you are still confused then I have very good method to choose topic for your blog. Choose topic for your blog, in which you are passionate more that's why you will not get bother while working in your blog for long hour, you can also deliver quality content to your blog and finally to your blog readers. I have already written an article on this topic, that's why any one will get clue to select topics for their blog. But the beginner bloggers did mistakes regarding choosing topic for their blog, i.e. they try to get in every field. This is also true you can not become famous in every field once. If you know some one did then that or those are just miracles nothing else, if you want to succeed then take my advice choose only one topic first then start leveraging that topic then go for another one. This would be great to get readers and finally to make money from your blog. You know, when your child like you! Much. It is obvious when you will full fill your child requirements, then only right. Here is the thing all your blog readers like your child, then what next? Just full fill their requirements through blogging. Like to get rewards from your child you have to wait to your child be young but in blogging you don't need to wait that much time. You just need to put continuous effort for few months then you will see result of your effort in terms of money, appreciation of your hard work, which will inspire you to do more hard work as well as you will get reputation online. But that does not mean you will not take care of your child, I will suggest you do the best as you can for your child. If you are familiar with English then even you will do few common mistakes while article article. Like you'll use, he or we istead of you and I. See, in blogging you must use only two words those are "I and You". Two more big tips I would like to tell you, which will increase readability of your blog readers means your blog readers will not leave your blog before reading the full article. One of them is give space after 20 to 50 words, that's why your blog readers will not feel like they are reading books. Another one is, don't try to show your expertness in English, means don't use uncommon words. Rather try to write as in simple language as possible that's why any one can understand your views. I have experienced this is the good way to help all type of readers, because your blog readers may be newbie, may be experienced but you need to write for newbies. If you've not yet write about your self, then write about self today only. you can see mine one at the bottom. If you need any type of help for doing it then let me know, I'll help you. Now may be you are thinking, what you should write? When I have started even I thought like this. So, I will share what I did to write my "About Me Page". Well, I have first research few blogs and their about me page, I found every body written about their past life and of course their achievements. If you have not achieve through blogging then don't write any thing like that you got BMW from blogging. Rather write what you are going to share with readers through your blog, but in well presentations. Remember more better you will represent your content in your blog more expert you'll become. Traffic is everything in blogging, if you'll not target traffic then it would be disgusting for you to keep blogging. So, my advice is to attract traffic to your blog. Well there are many ways to do it, that's why I've written an article on this topic to make it possible for others to drive more and more traffic to blog. Read More- 25 Proven Ways to Drive Traffic to Blog. By the way don't loose quality in your blog post. This is the biggest mistake almost every beginner bloggers did, so if you just started blogging then start capturing your readers email addresses. I have started capturing email addresses from last years I have list of more than 3000 real people. But you can start capturing email addresses of your blog readers from the day one to convert first time blog reader to life time reader. Best ever email marketing software from decade is Aweber, I will recommend you to use it and see grow readers of your blog. Here is the tips I am going to share with you, which will really improve your blogging SEO and also ranking on SERP(Search Engine Results Pages). May be you don't know what is Bounce Rate? Bounce rate is determine how many of your blog readers are reading only one page of your blog. Use Related Post Widget- The best ever way to decrease bounce rate. Social Share Buttons- It will decrease your bounce rate also improve social engagement in the internet world. Interlinking- Just like you have seen till now two to three pages of my blog, I've interlinked, it will help your blog readers as well as you'll also get help from SEO, your page views will also increase. Add Most Comment Widget to Side Bar of Your Blog- It will tell your blog readers the popularity of other blog post, which will encourage your blog readers to read more blog posts of your blog, which is exactly you want. Add Few Top Blog Post of Your Blog at the Bottom of Your Blog- Many times people see bottom of the blog and you are going to get benefit from it, you'll list there your best blog post, that's why people will get more satisfaction from content of your blog. Get Your Self Social for Leveraging Your Blog Readers- Social proof is important in blogging. Because people don't want to get advice from unknown people, that's why even Google is giving Authorship, which shows your photo in the search results. At Least in four social medias- Facebook, Google Plus, Twitter, LinkedIn. These social medias will play important role to make you better blogger, also it will help you to get connected with others means your blog readers. If you'll help once one to one, may be through mail, Message, he or she will become reader of your blog for forever! Adsense, Affiliate Marketing, Providing Online Service. Among of all above the best way to earn money from your blog is providing online service through your blog. But remember you have to offer online service related to your blog content, that's why you will get more conversion rate, which means more money you are going to make. Let's talk about Adsense- adsense is not bad at all, but still you are not the one who is directly interacting with advertising companies so your profits share by adsense companies. If you don't want to share your profits then you've alternative for it, you can go for Buysellsads like network, but still it needs time. Affiliate Marketing- There is big buzz of it, that is affiliate marketing you can make thousands of dollars, that's true but it is not that much easy as people make you to think. You should need very good experience in it then only you'll succeed other wise you'll loose money, I think blogging is the good way to try it. At the beginning of blogging. Many bloggers think, when to add advertisements to your blog, according to me, ad advertisement network to your blog just after creating 5 awesome blog posts. Trying any thing new is good but no one knows you'll succeed in it nor not. But in blogging it is dead sure. Then what is important that's why you'll not fail in it. Don't dream about blogging, that you'll become millionaire from blogging, I am not saying it is impossible. Even if you'll separate it self the word "Impossible"- it will become "I'm Possible". But you have to wait and keep working, rather if you'll not dream of becoming rich and start working you'll definitely become one day. May be sooner later. But never expect too much from blogging. Do hard work every thing you'll get, but don't try too hard. Means you need to hard work but you'll not except much more from hard work, I mean keep working you'll get every thing. Every where people are talking about quality, even my father usually told me- Son, if you want to succeed in your life then you have to be quality person. Like my father may be you have heard many times that you to have maintain quality, that's true that you have to maintain quality to get success. In blogging the same you have to do! Here, I am going to tell you, how can you maintain quality. Affordable(If you're offering any service then make it affordable that's why people can afford, but don't make cheap). Easy to Operate(Readers can easily find your blog contents). Advanced(Write few advanced tips but from beginning). In blogging you can also use these tactics to make it happen for your blog. In blogging you have to concentrate on only one topic in the beginning, if you are having knowledge many fields then start another blog. My suggestion is regarding this- first give a step to your first blog then go for next one, because no matter how much smart you are? You'll do many mistakes in blogging. Then if you'll start many blogs once probably you'll quit blogging, because possibility is there none of them will become famous. So, first create one success story. Then it would be quiet easier for you to create back to back block buster success stories. In blogging you need to do hard work, hopefully till now you got it. There is an ultimate source to do it. So, where you are going to get it. There are sources, even many. But I'll recommend you to read blog success stories that's why you'll get more inspirations. To create another success stories in blogging. Probably you'll become ladder for some one else to make another success stories. In which country you are living! There should be people those are talking about marketing, blogging. Then why not get some knowledge to improve your knowledge in blogging, which will lead you to generate unique content for your blog. You can also read marketing books for it, it will improve your marketing skills. But remember only bookish language is not good enough to make you different, you've to implement those ideas in your blog then share results after implementing those tips in your blog, to make it more useful for your blog readers. If you are reading from the beginning to here, then I want to say you congrats! You can become definitely a successful blogger! May be you are thinking, Why am I saying this? There is a big reason! You are having i.e "Patience", that's means you can succeed in blogging, no matter what will happen don't loose hope. Remember your hope will take you there tomorrow! What others experiences you feel in blogging to make another successful mommy blogger?